Shoigu said that the drills involve march and deployment maneuvers by forces in the southern and western military districts, and separate Air Force exercises. 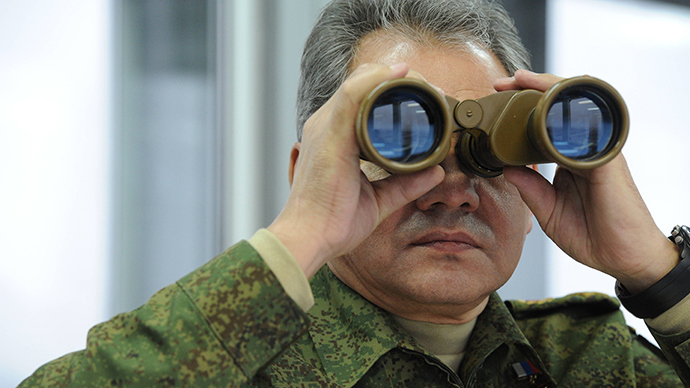 Shoigu added that Ukrainian sabotage units had been deployed near the Russian border. In contrast, he said that the pro-Russian self-defense units number about 2,000 and have about 100 guns between them, which have mostly been taken from local police stations. "It's not an evenly matched confrontation," Shoigu said. 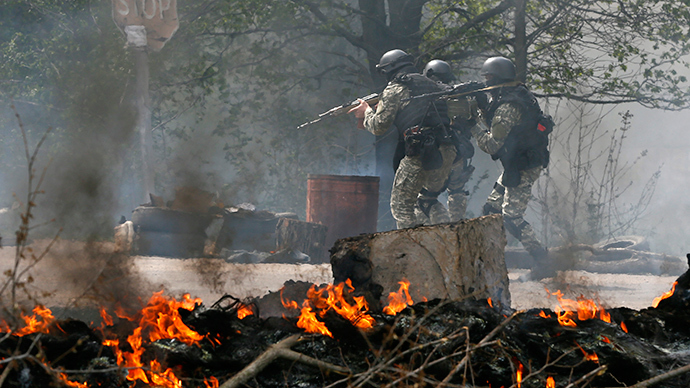 The heaviest fighting on Thursday took place in Slavyansk, with the Ukrainian Interior Ministry reporting the deaths of at least five "terrorists." 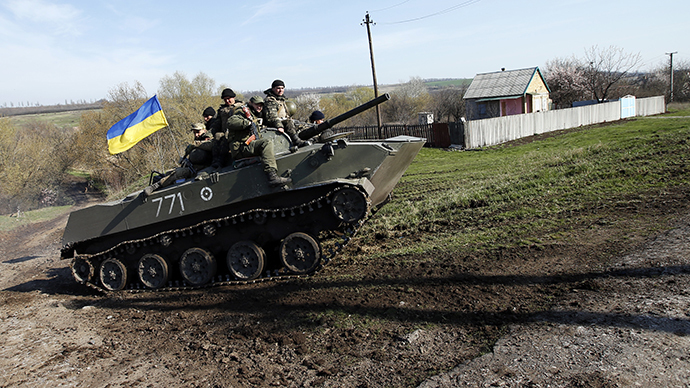 NATO has estimated that Russia has massed at least 40,000 troops near its border with Ukraine. Moscow has not denied that it has moved troops to the region, but said that its internal troop movements are its own prerogative. NATO began military exercises in Poland on Wednesday, with more scheduled to take place in the Baltic states next week. So far, 150 US paratroopers have arrived in the country from their stationary base in Italy, with 450 more set to join them. Poland’s foreign minister, Radoslaw Sikorski, has also asked NATO to deploy 10,000 troops in his country. 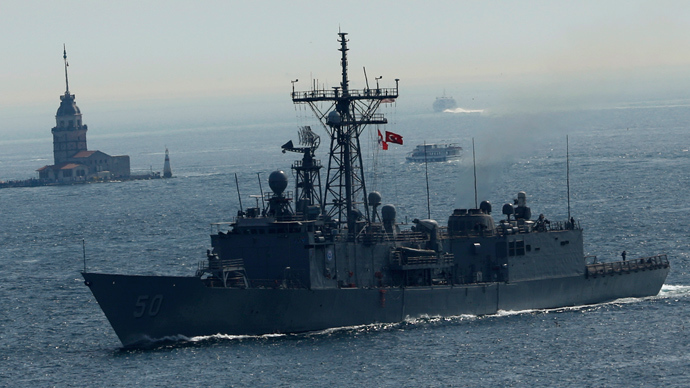 On Wednesday, the frigate USS Taylor became the latest US ship to enter the Black Sea on a rotating deployment. NATO has dispatched a separate rapid reaction force to the Baltic.